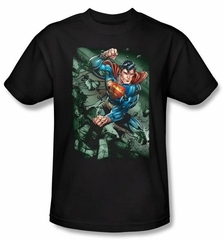 This Superman Superhero kids youth t-shirt features Superman breaking the rocks. 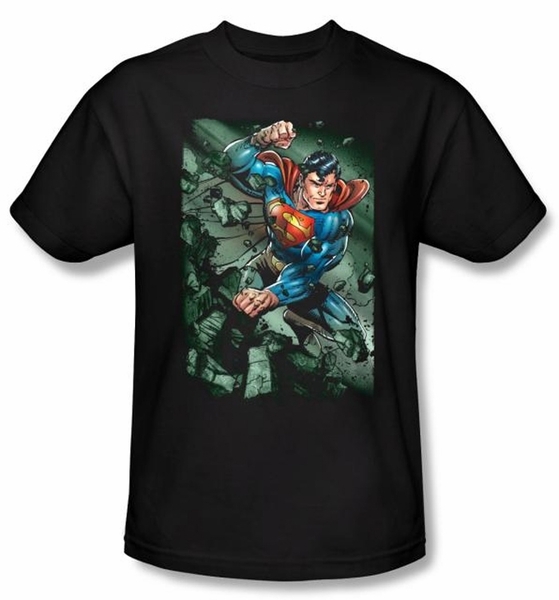 This Exclusive Superman t-shirt is the ultimate shirt for the DC Comics Superhero fan! Superman is the most celebrated superhero of all time. Nicknamed the Man-of-Steel, Superman was first published in 1932 by DC Comics and has enjoyed unmatched popularity for nearly 80 years. Our Superman T shirts are strong and stylish like the Man of Steel himself!